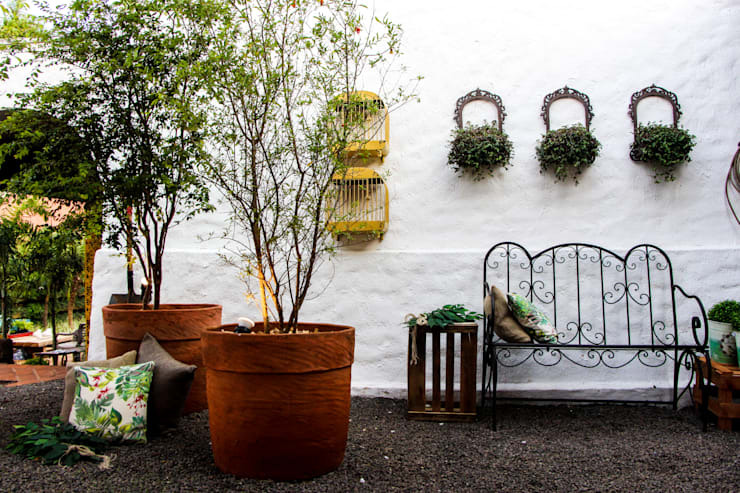 If you've got a terrace, you might like to think about pimping it up a bit. 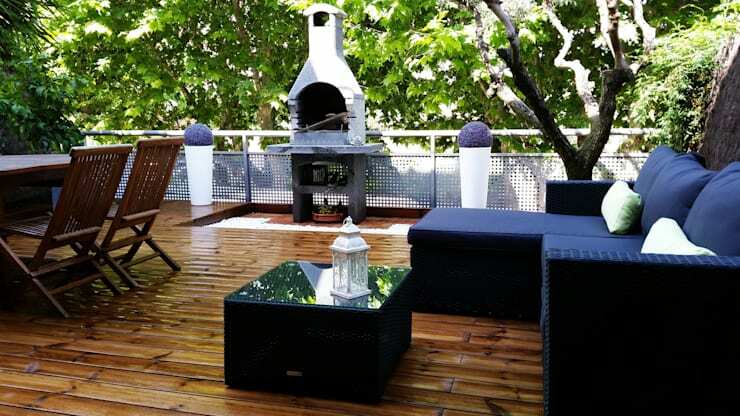 A terrace is a great place to relax and unwind while soaking up the sun, but that doesn’t mean that your terrace needs to look boring and old fashioned with no charm. In fact, having a fantastic terrace with all the trims and finishes is the perfect way to be less depressed and more comfortable. Now although the seating and décor of the terrace is extremely important, the flooring choice matters just as much… the choices are endless! 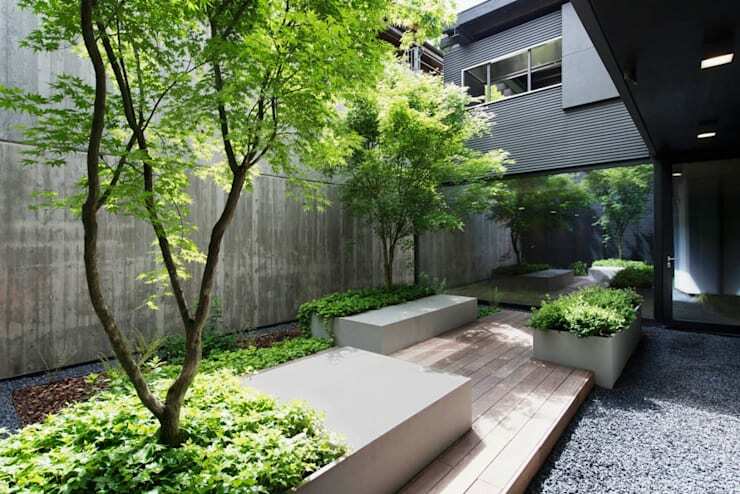 However, the team at homify with the help of some landscapers have narrowed down our favourites in this Ideabook, making the decision simpler for you. A terrace flooring material that is remains a popular choice is wood, this applies to all flooring, regardless of interior or exterior. Wood exudes natural charm, while also being heat resistant, which makes it a great choice for outdoor areas that receive plenty of sun. Hardwoods are ideal, however they require regular maintenance, such as wax or oil sealing as a protection from harsh weather conditions. 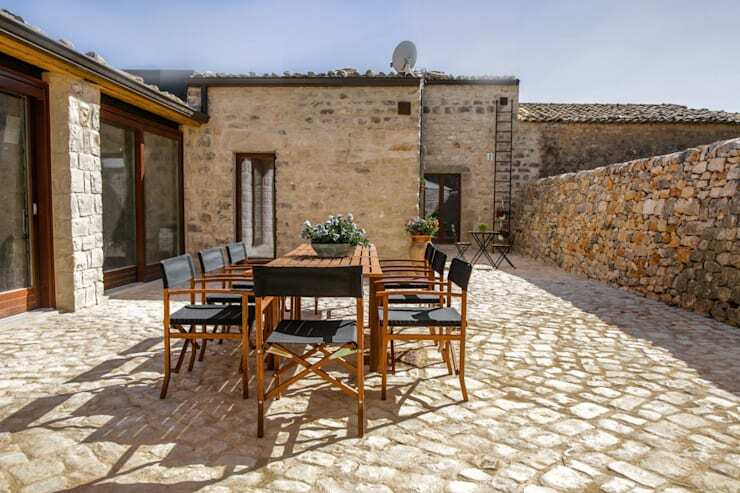 Although wood and stone make a great choice for the terrace floor, cobble stones create a truly rustic atmosphere. This makes it comfortable and friendly, consider pairing this beige stone floor with darker furniture for an authentic look. 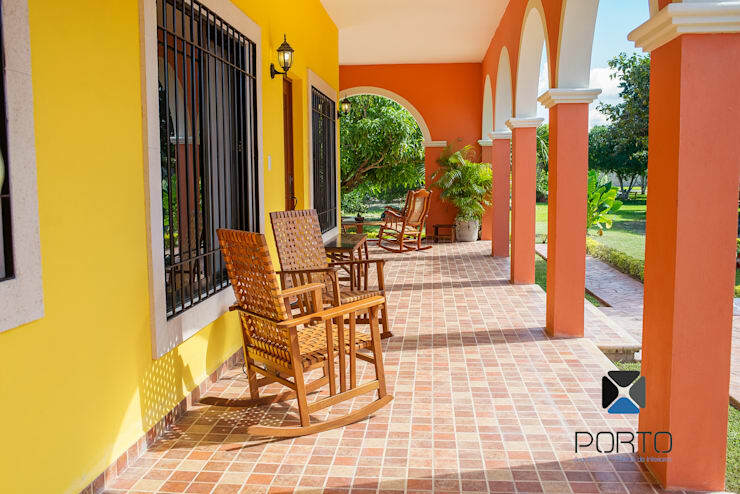 Concrete is a dynamic material that can be used in the construction of buildings, or simply to add character to flooring, and it makes an excellent choice for terrace flooring too. Tiles are another popular choice for flooring inside and outside a home and with this mosaic motif, these tiles are traditional and exotic in every way. This brick floored terrace is superb, the colours of brownish red and small square shape, adds to this striking outdoor appearance and is a great way to portray Mediterranean style. Now natural stone flooring is robust, striking and in demand, however, it is quite pricey too. So consider your pocket before buying into this gorgeous decorative commodity. Rubber granulate is a modern material that is easy to install. No glue or screws are required to install this fantastic material that is sound proof, and resistant to heat and cold while being a stylish option too. Gravel is made up of pieces or rock or mineral and offers a stylish and unconsolidated sediment. 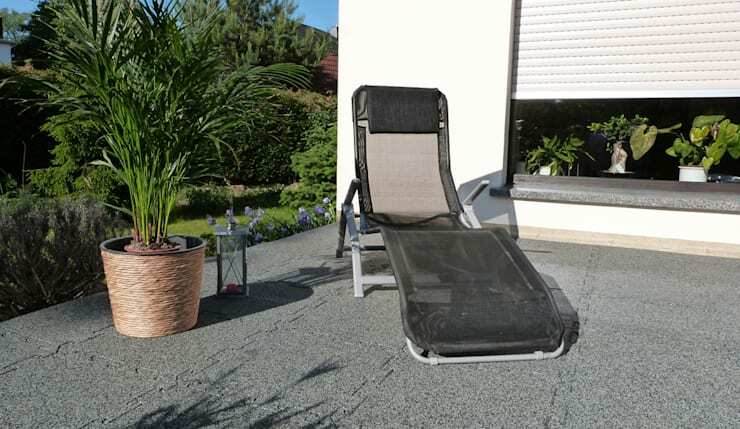 It would be unusual to use gravel as a terrace floor, but that doesn’t mean it’s not a great choice. 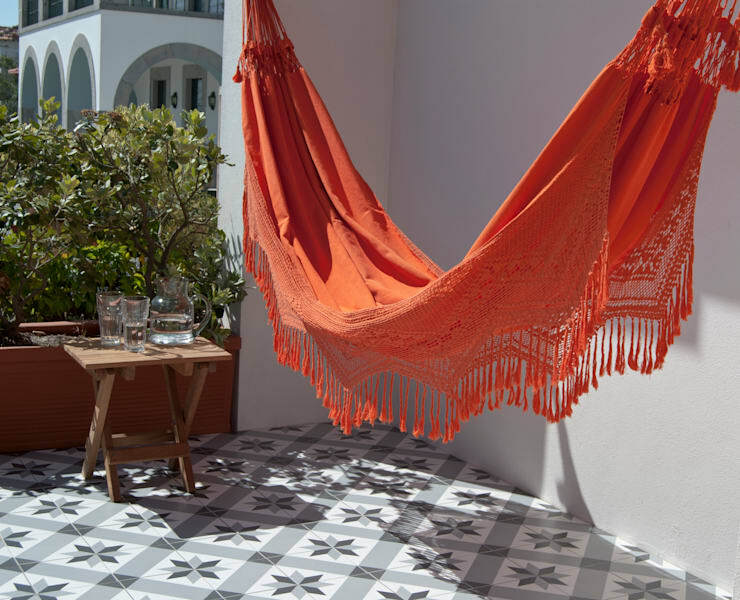 The idea of using textiles for your terrace will instantly add a homely and cosy atmosphere, however, this flooring choice is recommended for indoor terraces only as exposure to rain and humidity can cause damage. 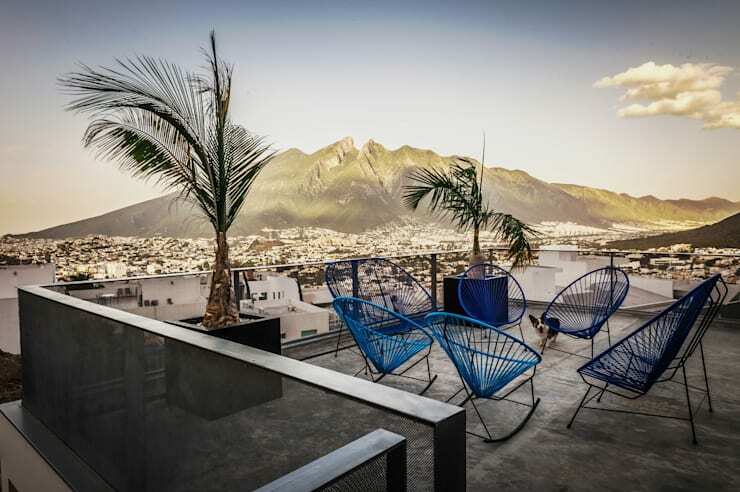 With so many choices available for terraces, who only wants to choose one? Combining wood, stone and concrete throughout your terrace might just be the unique style that makes your home elegant, creative and attractive. Now for: 6 Awesome Barbecue Ideas! 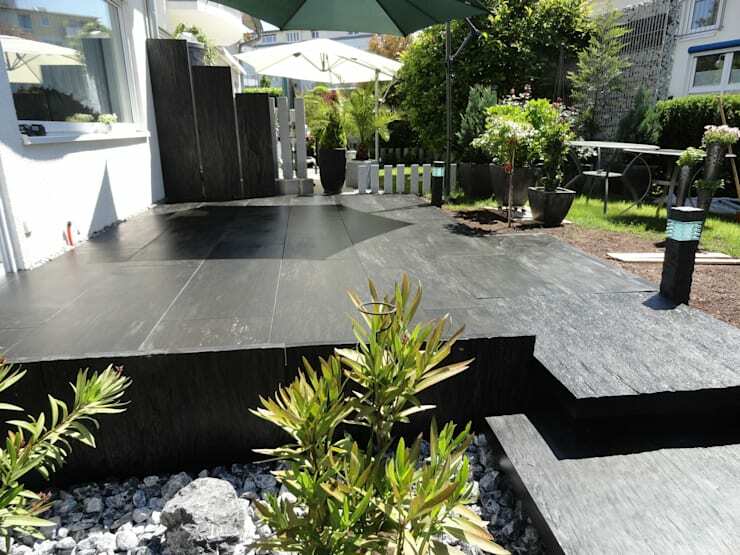 Which would be your ideal terrace flooring choice?